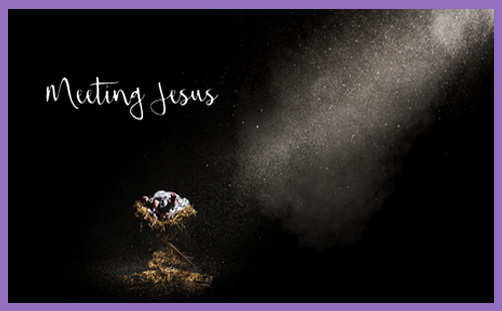 There’s a lot of confusion about Jesus: there are so many ideas about who he was or is that it almost seems as though there are lots of Jesuses. He is a baby in Bethlehem, a carpenter from Nazareth, a rabbi, the Christ, the Messiah, the Son of Man, Son of God, Son of David, Saviour, prophet, priest and king. Have you ever stopped to think what any of these titles or designations mean to those who do not believe? We can waffle on about the wonders of the Incarnation and the one substance of the Trinity, and rationalise eschatological expectations in the context of ancient Israel and the establishment of the Gentile church, but when you think about it, it’s all Greek to those who don’t know anything but the name. It’s hard to talk about the divinity of Jesus when he’s just one in a pick’n’mix pantheon of prophets and demigods: exactly how and why is the Second Person of the Trinity different from Moses, Mohammed, Krishna, Buddha or Guru Gobind Singh? And why should you feel remotely inclined to wonder, ask, seek or find? Advent is a time of expectation, of waiting and hoping. Christians will be looking forward to the coming of the Christ child, to renewing their relationship of faith by recalling the historical reality that God became man and dwelt among us. Everybody else will be looking forward to cards and presents, parties and telly, dinners and drink, and Jesus might get a look-in on the occasional Christmas card, but his deeds and words or his effects on the hearts of men and women will not feature at all. But we like to talk and argue more than we like to show by example, and so Jesus becomes a cause of strife and division: don’t, whatever you do, talk about religion or politics, especially at Christmas. Perhaps if we just spread more good and propagated more peace, people might begin to understand a little more of who Jesus really was. Perhaps if instead of being concerned with people’s eternal salvation we showed them love, and then let them wonder, ask, seek and hopefully find?